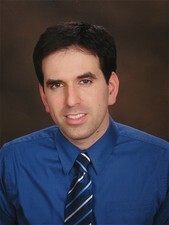 Dr. Lopez graduated from Columbia University in New York City in 2002, receiving his doctorate in dentistry. Upon graduation, Dr. Lopez began his career as an active duty captain in the U.S. Army at Fort Drum, New York, home of the 10th Mountain Division. Dr. Lopez finished his active duty as chief dental officer of the Clark Hall dental clinic, a clinic responsible for thousands of oversea deployments. Dr. Lopez has taken hundreds of hours of continuing education courses, ensuring that his patients receive the most comprehensive and advanced dental care. Dr. Lopez is a member of the American Dental Association, Texas Dental Association and Dallas County Dental Society.